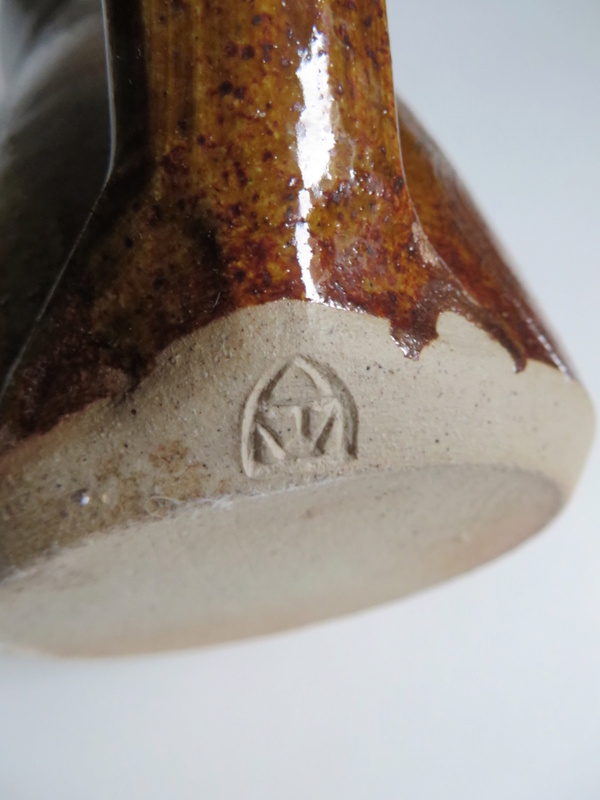 Stoneware tankard mug with impressed mark. TW? 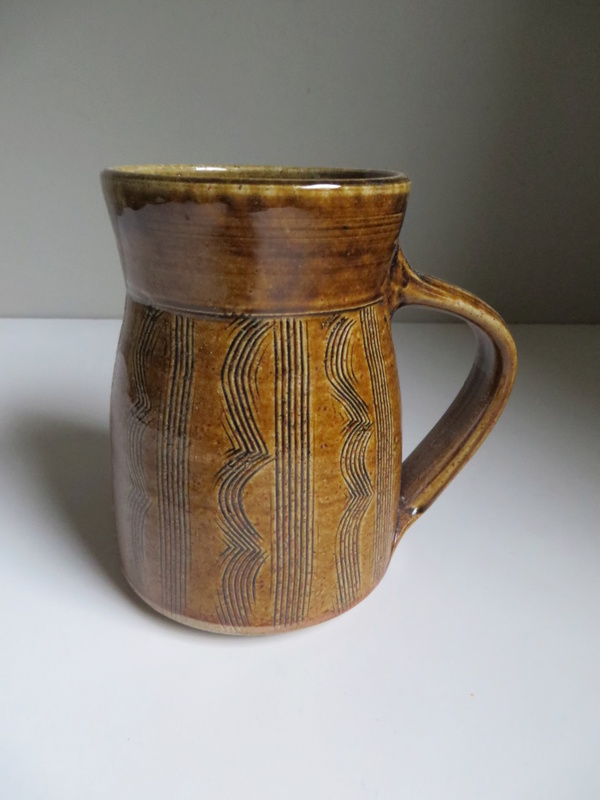 Stoneware tankard mug with combed decoration and honey glaze. Church window like impressed mark incorporating TW?